Turn your event into an experience to remember by incorporating your meeting theme, company logo or content into the class. 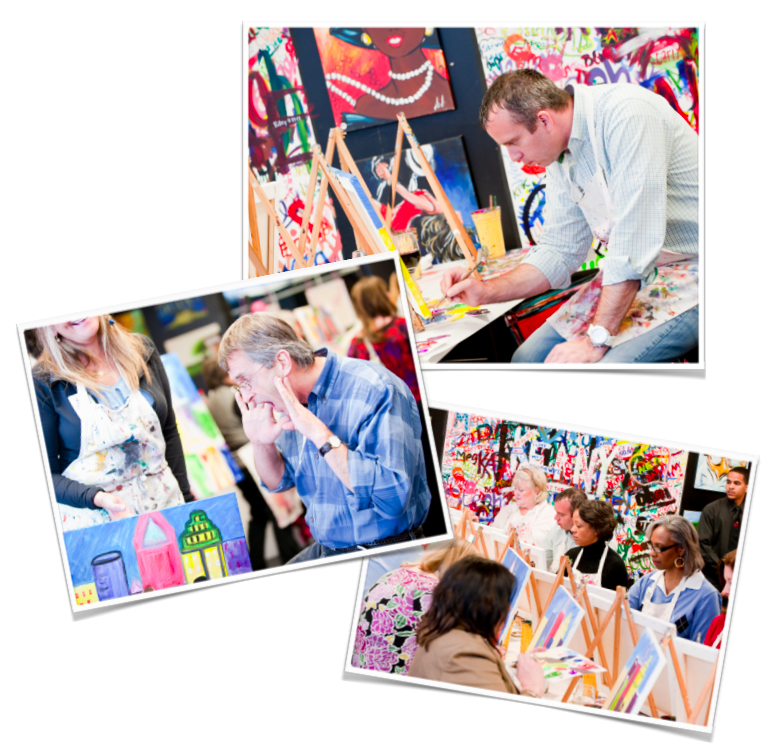 Our instructors guide your team step-by-step through the painting session. At the end of class your team will leave with a completed painting. We partner with restaurants and event venues all over Atlanta. We are happy to help personalize a program for your next corporate event. Contact us for availability and find out how we can enhance your next team building experience. Email us to reserve your event: info@canvasbyu.com 678-954-8399.